Love to play games? If so the Monolith is the perfect pool for you. This gem of a pool is made for shooting hoops or practicing your cannonball while getting the whole family in on the fun. This awesome pool features a large flat-bottomed shallow-end which is ideal for water games, a dedicated swim lane, non-skid surface and a Type 1 Diving deep end. 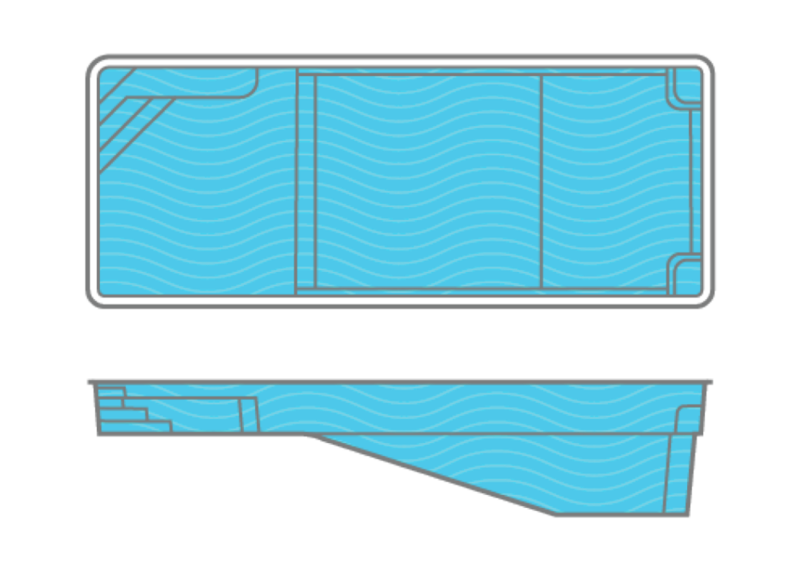 And to make sure the little one’s can also have fun this pool features 15” warning slope leading to the deep end. Game On! !